Have you ever doodled with a pen or a pencil when you should have been paying attention to something of “extreme importance”? Have you ever caught yourself daydreaming of stories, possibilities or creative situations when somebody was trying to pour their heart out to you? If so, you may have what it takes to write a song! Similar to other forms of art, songwriting involves creating something unique and/or personal to you. The main difference between songwriting and other forms of art is that the "paintbrush" in this case is your musical instrument (or your voice). While there are no set rules within songwriting, I wanted to provide you with a few of the simple guidelines in place to help a potential songwriter get started. 1) Pick a Chord Pattern for a verse – Usually you will want to use chords within a specific key. For example, if I choose to write a song in the key of “G”, I will generally want to use chords that are within that key. How do I know what chords are in the key of “G”? The “Circle of Fifths” chart is a very useful tool for knowing what chords are in a specific key. Have your instructor explain how to use a circle of fifths chart to explain which chords sound natural within your chosen key. Once your chords are chosen, strum the chords in a pattern that feels right to you. The beauty of songwriting is you get to be creative and “doodle” until something feels right! 2) Create a melody for your verse – After chords and a strum pattern are created, you can now choose a melody. Often a melody is played on a 2nd guitar or is sung. However, any instrument can play a melody. Again, the melody that you create will generally be within the initial key that you chose. So if you chose the key of “G”, you will usually want to choose a “G Major” scale for creating a melody. 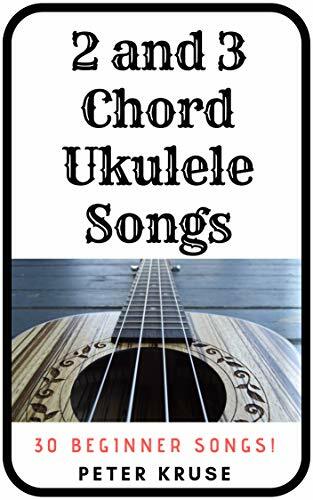 3) Pick a chord pattern for your chorus – The chord pattern for your chorus may or may not be the same as the chord pattern for your verse. 4) Choose a melody for your chorus – Again, the melody in your chorus may or may not be the same as the melody in the verse. Often, a chorus is the part of the song that contains the “hook”, or the most memorable part of a song – so be sure to try and include the hook in your chorus! Again – this is a general guideline rather than a mandatory set of rules. 6) Feel free to “color outside the lines” - Songwriting is about letting yourself be creative – sometimes even our “mistakes” may sound great. 7) Perform and/or record your song! Possibly the most enjoyable part of songwriting is sharing it with other people. Just as you might share your photography with your friends and family, you can share your own created music as well! Sharing your songs online on sites such as Youtube is also a great opportunity for songwriters today. Thanks Joseph! I hear you about finding the time. That's my issue as well. I'm truly glad you enjoy my music!